While Sony's new PSP-3000 model comes under fire in the UK and the US for issues with the screen, it seems that Sony's Japanese fans cannot get their hands on the machine quick enough. First week sales in Japan totalled an impressive 141,270 units, according to Enterbrain figures, which is quite a good start for the latest iteration of Sony's portable. Particularly when you consider it was only a four-day week in Japan. The PSP-3000 has come under fire over here for issues with visible lines on the screen. 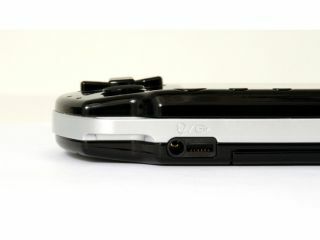 "On some occasions, scan lines may appear on scenes where brightness changes drastically, due to the hardware features of the new LCD device on PSP-3000. Installed with this new LCD device, PSP-3000 offers more natural and vibrant colours on its screen, but as a result, the scan lines have come out to be more visible. This is due to the hardware specification, so there are no plans for a system software updates concerning this issue." While the PSP in Japan has sold an impressive 10,357,481, it seems SCEE over here cannot catch a break this week, first with the LittleBigPlanet debacle and now with a vocal minority of gamers complaining that a brighter screen means that they can see on-screen lines in their games clearer. If you don't like the way the screen looks on PSP-3000 there is a simple fix. Buy an older model. They are cheaper, too!